Left of the Aisle: Could the Working Families Party Be the Sane Way Forward for Democrats? In 2012, after suffering what the Republicans thought was an unbelievable second loss to Obama, the GOP did what they called a post-mortem. They looked back at the election, trying to figure out what they had done wrong, and came up with a few solutions that now seem quaint—basically, the opposite of what Trump has done in his first 100 days. Today, the Democrats are in a position to do some reflecting on their own after losing to the Big Bad. Thomas Frank’s Listen, Liberal saw a Democratic Party abandoning the Working Families that made it up even before the election happened. Then there’s The Destruction of Hillary Clinton, an earnest but misguided defense of Hillary Clinton that handles its subject with white gloves. And Shattered, an exposé spelling out all the details of her earnest but misguided run for president. These latter two books represent the kind of infighting the Democrats have come to be known for over the last two years: should the party move left, or does Trump prove it needs to stay where it is? With the midterm elections looming in the background, this fight cannot stand to go on for much longer if the left hopes to regain some influence in the House and Senate. Fortunately, there is a solution waiting in the ranks. 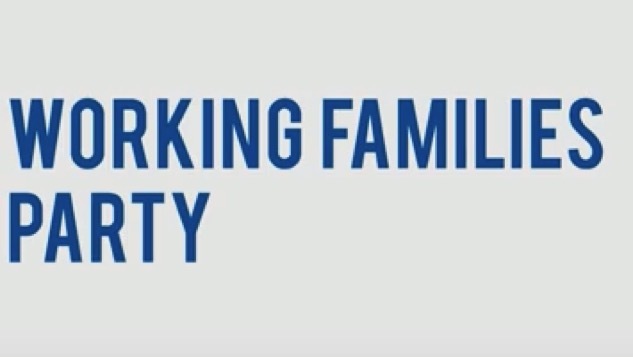 The Working Families Party is a political organization with roots going back twenty years, and it is the most obvious way forward for the Democrats. They were formed at the end of the Clinton era as an antidote to centrism, a symptom of the triangulation the Clintons actively advocated for. Briefly, triangulation is the political theory that the path of least resistance is in the center. The right wants to keep minimum wage where it is, or abolish it, the Left wants $15, or a living wage, so the triangulation is a $12 minimum wage. The only problem for representatives of the left is that the center line—the Overton window in politispeak—keeps being pulled to the right. The Working Families Party wants to be the strong voice on the left to keep that center line where it is and maybe even eventually begin to pull it back from the grips of the Alt-Right, Tea Partiers, Neoliberals and centrist Democrats who have successfully shifted it to the point where President Trump is a reality. Based in New York, many people in that state and Connecticut would be extremely familiar with the party. They have members in an array of offices from the city level on up through the governor and senators. Their endorsed candidates raised the minimum wage and Connecticut now has a part-time sick leave law due in major part to their Working Families politicians. In these two states, they got their start through a combination of endorsements and fusion voting, which puts candidates on the ballot twice. A representative like Rosa Delauro would appear as the Democratic candidate like on any other ballot, but on a separate line, usually below the two major parties, she would appear as a candidate for the Working Families Party. Both sets of votes go to her, and it’s an easy way to support a third party without throwing away a vote. The need for a strong coalition of progressives have allowed the Working Families Party to rise from a small, local party in New York and Connecticut into one that has sway at almost every stage. This is in no small part due to their organization: Molly Ball, writing in The Atlantic : noted that “many New York politicos say the WFP is more organized and effective than the state Democratic Party, and Democratic candidates routinely draw on WFP staff for their campaigns.” As a larger strategy, the Working Families Party has often run more liberal politicians against centrists, and even won sometimes. In New York, Working Families ran Letitia James against an unqualified Democrat and won. As the party gains influence, they are moving away from fusion voting and are now running progressives on a single ticket line. Edward Gomes in Connecticut ran solely on the Working Families Party line and won. This is part of the reason why the Working Families Party gets pegged as the Tea Party of the Left, despite being around before the Tea Party. In talking to both, they essentially had the same idea on how to overcome this schizophrenia among the Left. Petrik: Working Families is asking “what are our common values and goals.” Zemke: “We are trying to move people towards issues, instead of politicians or parties.” As members and representatives of the Working Families Party, what they see as most important are the ideas and values that are brought forth, rather than the just electing someone with a D next to their name. This is exactly what the Democratic Party needs: a shake-up. New ideas, new faces, and an emphasis on the grassroots supporters—and it’s from a group that’s already established on the left. Whether it is Autumn Zemke showing up at a rally against Trump, or Will Petrik going from neighborhood to neighborhood asking people what they would do if they were mayor, the Working Families Party is doing what it can to get the people a seat at the table. Petrik said, as if pulling a line from the Founding Fathers themselves: “If we want to rebuild the trust of the people, we have to trust people.” And the Democratic Party will have to listen, or they’ll be doing post-mortem after post-mortem as we elect more and more reality stars to office. If Thomas Frank is mad at the Democratic Party for moving away from the working families that made it up, then the solution is a movement that advocates for them. The Working Families Party does just that. It says it right there in their name.